The new-and-improved UOB Lady's Cards let you pick your choice of 10X category- and come with a higher cap than other 10X cards. I think it’s fair to say that the UOB Lady’s Card portfolio has been something of a dumpster fire up till now. The entry-level UOB Lady’s credit card offered a bonus rate of 2 mpd on shopping and taxi rides, which sounded decent on the surface until you learnt they slapped a minimum $3K spending requirement to earn that. Spend below $3K and you’d earn a measly 0.4 mpd. Oh, and they capped the maximum bonus spend at $5K. The $120K UOB Lady’s Solitaire offered 4 mpd on shopping, luxury boutiques and taxi rides, but had the same minimum $3K/ maximum $5K restriction. It was just hopelessly restrictive, and the Citi Rewards Visa blew it out of the water, making the UOB Lady’s Card portfolio totally irrelevant. UOB marketed the Lady’s cards with the proud tagline “the men don’t get it”. The men breathed a sigh of relief and said “thanks, UOB”. That’s why I’m so surprised to learn that UOB’s latest revamp of the Lady’s Card is a substantial improvement over the previous iteration. The redesigned Lady’s Cards remove the restrictive minimum spending requirement and provide cardholders with a choice of seven different categories to earn 10X points (4 mpd). Before everyone gets excited about this, it’s important to remember that unlike the gender-neutral DBS Women’s Card, men cannot apply for the UOB Lady’s cards. I’m going to skip the fancy card redesign because I frankly don’t care about aesthetics (as my dress sense will tell you). Instead, let’s look under the hood at the substance of the product. 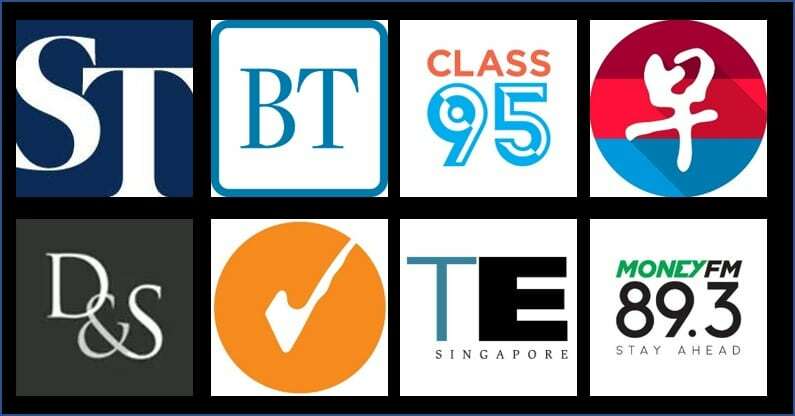 UOB Lady’s Classic Card and Lady’s Platinum Card members can pick one of seven categories to earn 10X points in, subject to a maximum of $1K spending per month. This category can be changed at the end of every calendar quarter. UOB Lady’s Solitaire Card and Lady’s Solitaire Metal Card members can pick two of seven categories to earn 10X points in, subject to a maximum of $3K spending per month. This category can also be changed at the end of every calendar quarter. I have to say, I really like the flexibility to be able to change your preferred 10X category every quarter. This means that the card can be different things to you at different times. Holding a wedding banquet? Switch to the Travel category this quarter to get 4 mpd on your banquet payments. Buying a beauty package? Switch to Beauty & Wellness. I also like the fact that the Lady’s Solitaire card has a higher-than-average $3K cap on 10X points per month. That makes for an annual cap of $36K, significantly more than similar 10X cards which max out at $12-24K per year. Which category should you pick? For me, this is all about alternatives. You get the most out of your UOB Lady’s Card by picking a 10X category that you can’t easily earn 4 mpd through alternative cards. 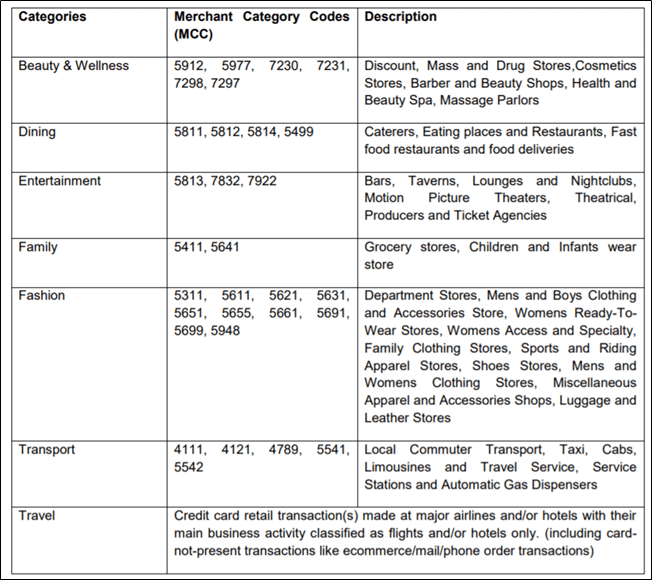 UOB has provided a list of sample merchants within each category. I’d straight away rule out Fashion, because you could easily earn 4 mpd by using the Citi Rewards Visa/Citi Rewards Mastercard/OCBC Titanium Rewards cards. I’d also take out Transport, because to the extent that you use Grab/Gojek or any other app-based ridesharing solution, you could earn 4 mpd with the Citi Rewards Visa/Citi Rewards Mastercard/DBS Woman’s World cards. Even when you take a regular taxi, you should be able to get 4 mpd through Masterpass. It may sound attractive to earn 4 mpd on public transport through ABT-related Mastercard transactions, in reality you’re unlikely to do the $1K/$3K cap justice. Although it’s tempting to earn 4 mpd on groceries through the Family category, you should remember that you can already earn 4 mpd through the UOB Visa Signature/UOB Preferred Platinum Visa at NTUC/Sheng Shiong/any other grocer that accepts Paywave (not Cold Storage or Giant though, because they award SMART$ in lieu of UNI$- see point 30 of the T&Cs). Alternatively, you could move your grocery shopping online to Redmart and earn 4 mpd with the DBS Woman’s World card. 4 mpd on babies’ and children’s wear is possible through the OCBC Titanium Rewards. Travel also doesn’t seem to be a good category to pick, given that you can earn 4 mpd on online hotel and airline transactions with the DBS Woman’s World card, or 3 mpd through the DBS Altitude. If you’re booking at selected OTAs, you could even earn up to 10 mpd through the UOB PRVI Miles card until 31 March 2019. An important distinction- both DBS cards require your hotel bookings to be paid for online– if you use your credit card just to secure your booking, and the hotel swipes your card separately at check-out, you won’t earn any bonus points. If you pick Travel as your bonus category for the UOB Lady’s card, there’s no requirement that the hotel payment be done online. Beauty and wellness is a mixed one for me. I can’t think offhand of any card that awards 10X on these transactions (unless you’re paying for your packages online, in which case the DBS Woman’s World card should do the trick). If you’re spending a lot on this, then by all means go for it. My definite pick is Dining. Why dining, when you could already earn 3.2 mpd in that category with the Maybank Horizon Visa Signature? It’s unlikely you hold any other Maybank miles cards, which increases the chances of orphan points. Maybank’s definition of dining is very restrictive, only including MCC 5812 Restaurants. UOB, on the other hand, defines dining as MCCs 5811, 5812, 5814, 5499 which includes caterers, restaurants, fast food and food delivery. With the discontinuation of the UOB Preferred Platinum AMEX, there’s no longer any good dining card on the Singapore market. That makes the UOB Lady’s card all the more attractive, a sentence I thought I’d never thought I’d write. That’s my personal take on this, but obviously you’re going to want to examine your own spending patterns and decide what makes sense for you. It may well be the case that there are other cards which can provide 10X coverage in a particular category, but you may be a big spender and it’s a valid strategy to increase your 10X cap through the UOB Lady’s Card. The revamped UOB Lady’s Cards are a formidable tool for female miles chasers. I’d certainly apply for one if I could, and I’ll be asking the Milelioness to get the Solitaire version. That said, I certainly wouldn’t trouble myself to spend the $45K to get the metal version of the UOB Lady’s Solitaire card, much less pay the $588(!) annual fee. For that price you could get one of the $120K cards which come with substantially better benefits. By the way, I also don’t feel that a $3K monthly cap on 10X is worth paying the $406.60 annual fee that UOB wants for the regular Lady’s Solitaire card, so I’d definitely be looking to get a fee waiver once the first year free period passes. On the UOB website it says that these cards will earn 1UNI$ on ‘all other purchases’. So, does that mean 2mpd on all general spend? That’ll make it the best general spend card out there! I think it is per $5 therefore it is 0.4mpd. Highly unfair that only ladies can get these cards. What happened to gender equality? Are these awarded only for local spend? Will it still apply if we dine overseas? Wouldn’t travel be obvious – because currently there’s no alternative for hotels, trains and coaches that you have to pay in person at a foreign city? And dining. Even for those who still hold on to the Preferred Platinum AMEX Card, there’s now a cap of $6000 dining spend a year – which isn’t much. Only if you spend over $1000 overseas per statement period. Sometimes I fall short on this minimum threshold, particularly if I have already prepaid a significant portion of travel costs before leaving Singapore. I want an alternative also because I do not want to take out a large chunk of my $2k VS limit on hotel spend. This is particularly a problem for longer family vacations. Travel doesn’t cover coaches or trains. Does payment to Chan Brothers for travel package bookings falls under the category ‘Travel’? After choosing the category, will there be any confirmation? Is there any way to double check what category was chosen? No matter how good the offering I’ll never go for a UOB card again. Expat living in SG for 4+ years on a 325k salary they have rejected me for every card I’ve applied for with them and asked for a fixed deposit to cover it…..no thanks – way too much hassle. It seems there are many merchants listed in the uob marketing website that award smart $ instead of uni $. But the terms would suggest these merchants shouldn’t earn 4 mpd on the lady’s card. Does the same rule of deciding when not to use the uob PP card apply to the lady’s card? ie if the merchant takes paywave but you can’t use uob PP to get 4mpd, even if this is your selected category for the lady’s card, you shouldn’t use your uob lady’s card since it won’t earn uni $? I thought UOB PPV is an alternative great card for dining. In Singapore probably 99% of eating places accept contactless payment. only a woman can apply but can she give a supp card to her man? or are they only opening up supp card applications to women as well? 4mpd is awarded if you set payment method as credit card (DBS wwmc). 4mpd will NOT be awarded if you top up GrabPay balance. Couldn’t find this from citi website. Is this promotion still valid?